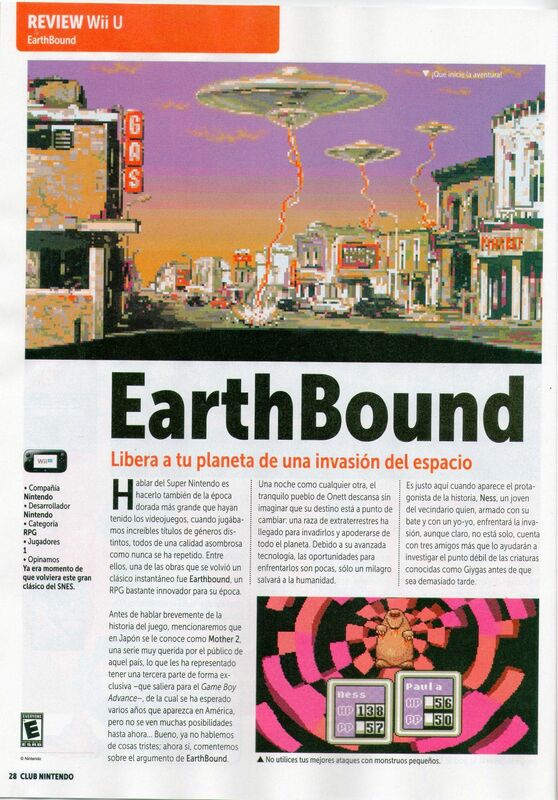 Hello EBC, there’s an Earthbound article at “Club Nintendo” magazine this month (September 2013 ed. ), so, if someone can provide better scans, it will be fantastic, if not, I’ll send some this weekend. P.D. : I´m sorry if I have some grammar errors in this text (English isn’t my native language, I’m from Chile). I’m not sure what the article is saying about it, but it gives the game a 9.5, so it must be a pretty nice review. It’s also really cool that players all over the world get to experience EarthBound now! I can’t read it either but it looks like it says the game was made with passion? I agree. I could probably translate. Spanish is my native language too, but I’ve been speaking English since I was around four. …same. I can read this, but the picture is too blurry. Thankfully, these things appear even in Puerto Rico. Is the game even available in Spanish? A couple readers sent in translations of the article, so I’ll post them here. Speaking of the Super Nintendo, it saw a golden age with top-quality video games, all different and all amazing. Such an age has not yet been repeated. Among the SNES library, one of the works that has recently been re-released is EarthBound, an instant classic, and quite an innovative RPG. On a night like any other, the town of Onett quietly sleeps. You don’t imagine that your destiny is about to change, but soon you discover that aliens are planning to invade and take over the entire planet! Due to their advanced technology, [blurry part that was hard to make out], only a miracle can save humankind. Thus, you’re introduced to the story’s protagonist. Ness, a normal kid from your average neighborhood, armed with his trusty baseball bat and a yo-yo, faces the oncoming mission. Of course, he is not alone for the whole game. He eventually meets three friends, who help him investigate the weak points of the menace known as Giygas, before it’s too late. In this game, exploration is key. You must explore every corner of the towns, and other locations that await you. Each NPC you find will have something important to say, or hints that might help you advance the plot. EarthBound isn’t a simple, predictable game; it takes some time to understand the style, and it’s a deep and extensive adventure. You have to enjoy every detail on the screen without just rushing through if you want to fully appreciate it. The battle system uses turn-based attacks like any RPG, but you don’t see the party onscreen, only the enemy and the command window. EarthBound is definitely one of those titles created with passion and talent, with the intention of leaving us great memories, and reminding us of what we should expect when purchasing a video game. The game was originally released in 1994 on the SNES, and is now available to everyone through the Wii U’s eShop. You can’t miss this one, the price is practically a gift. If you happen to own the original cartridge, consider yourself very lucky, as it is now very hard to find, and expensive. We’re currently experiencing a crisis when it comes to RPGs, but EarthBound is like a nice deep breath, and a reminder. 9.5/10. To talk about the Super Nintendo is to talk about the golden age of video games, when we played incredible titles across a variety of genres, all of a high quality that has never been repeated. 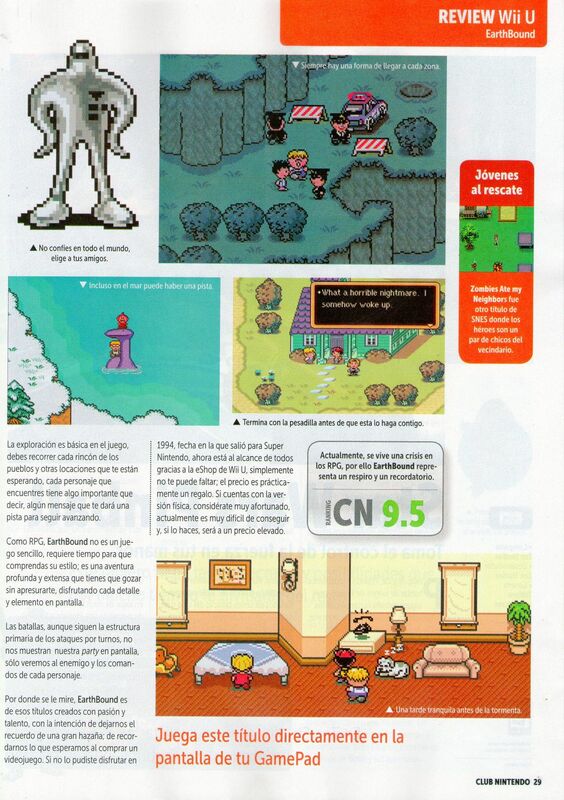 Among all those, one of the games that became an instant classic was Earthbound, an innovative RPG for the time. Before talking about the history of the game, we should mention that in Japan it was known as Mother 2, a beloved series by the Japanese public. The third instalment came out exclusively in Japan on the GBA, and while there was hope for it to be released in America, even today it still hasn’t been… Well, let’s not talk about sad things — let’s talk about EarthBound! On a night just like any other, the quiet town of Onett awakes, not imagining that its destiny is about to change. A race of aliens has arrived to invade them and take over the entire planet. Because of their avanced technology, the chances of defeating them are small — only a miracle can save humankind. Now the protagonist of the story appears — Ness, a neighborhood boy who, armed with his bat and a yo-yo, confronts the invasion. He isn’t alone, of course; he joins with three more friends who must help him find the weak point of the alien known as Giygas, before it’s too late. Exploration is central to the game; you must investigate every corner of the towns and other locations that you’re exploring, and everyone that you find has something important to say, a message with a hint on how to advance. Being an RPG, EarthBound isn’t exactly a simple game — it takes time to understand its style, and it’s a long and profound game that you have to take your time with, enjoying every detail and element on the screen. The battles, following a turn-based structure, do not show your party on the screen; they only show you the enemy and the options for each character. However you see it, Earthbound is a game created with passion and talent, that makes us feel like we’ve experienced a great masterpiece, that reminds us of what we hope for in a video game. If you couldn’t enjoy it in 1994, when it came out for the SNES, it’s now available to all on the Wii U eShop, and the price is so cheap it’s practically a gift. 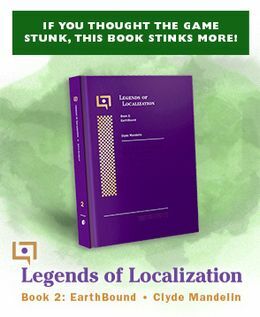 If you’ve managed to acquire a physical copy, consider yourself lucky — it’s actually very difficult to get, and if you do, it’s extremely expensive. Actually, today the RPG seems to be undergoing a crisis; EarthBound is a breath of fresh air. ahaha that should say “the quiet town of Onett sleeps,” not “awakes.” oh well. 1) Thank you very much ‘broomweed’ for the translation. 2) I’ve played Earthbound some time ago, and recently I’ve finished Mother 3 (Battle Log 100% complete) after playing EB0. I known Ness playing Super Smash Bros., so I’d though “Where’s this character from?” and all started there (I didn’t know then that EB was the second game of a series, so, woahhh). Now in Super Smash Bros Brawl I use Lucas (proud of that). So, thanks to all the team of EBC. 3) To ‘manofstars’: EB isn’t available in Spanish, until some years ago, most (if not all) of the games were only available in English here. PD: I´m sorry again if I have some grammar errors in this text (English isn’t my native language, I’m from Chile). Wait, there’s a Club Nintendo Magazine?? SINCE WHEN? !